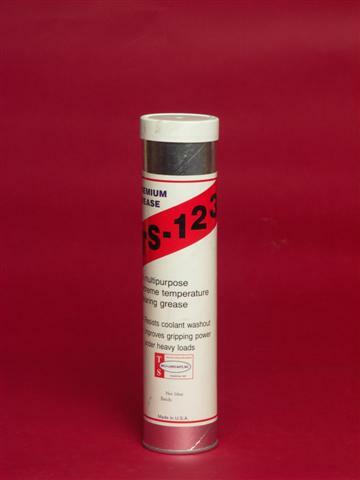 TS-123 is a heavy duty lubricant formulated specifically for use as a chuck grease. It contains 25% lubricating solids to help protect chuck assemblies and to enhance their ability to function under heavy loads. TS-123 is a 'stay put' grease. It will not squeeze out under load. It is made from viscous synthetic fluids, which are highly resistant to wash-out by coolants. TS-123 can be recommended for any slow moving, heavily loaded machinery, especially where a high moly (MoS2) content is specified.